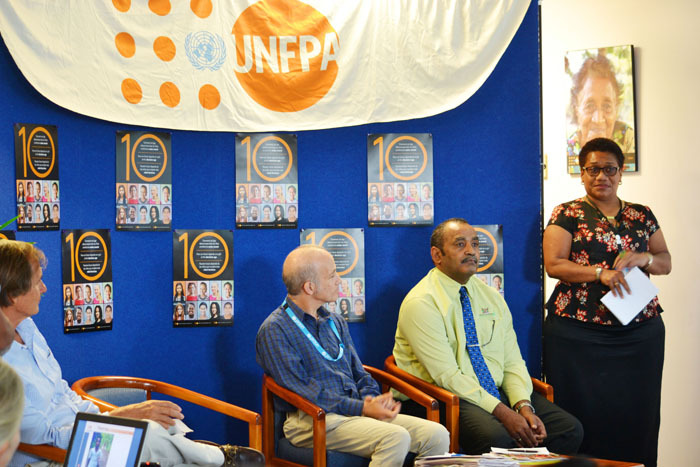 UNFPA Pacific, Suva, Fiji (October 21, 2016) - A report released today by the United Nations Population Fund highlights the need to invest in the lives of an estimated 60 million 10-year-old girls in the world today, if aspirations of global leaders to "leave no one behind" in the implementation of the 2030 Agenda for Sustainable Development were to be realized. The report entitled 10: How our future depends on a girl at this decisive age issues a reminder that a 10-year-old today will be 25 when progress towards the United Nations new development agenda is tallied in 2030. "If we want a true measure of the success of the Sustainable Development Agenda, we must picture a ten-year-old girl today, and imagine where she will be in the year 2039, when she reaches the age of 25. Will she be healthy, educated, empowered to make her own choices, and living a life filled with dignity and respect? If the answer is yes, we will know that our development investments have transformed the world in which we live," said Bruce Campbell, UNFPA Pacific Sub-Regional Office Director and Representative. The range of proven policy options available to governments has grown over the past decade. These include banning harmful practices, providing life-skills training and age-appropriate comprehensive sexuality education to girls' approaching puberty. The challenge now, the report says, is to scale up these interventions to reach more girls. The report provides 10 essential actions for the 10-year-old girl, in the areas of law, service, policy, investments, data and norms. Investment in reproductive health and education in particular progressively carve a nation's path for a demographic dividend. The report also establishes that over the next 15 years alone, developing countries together stand to gain or forfeit at least $21 billion, depending on whether they invest in the well-being, education and independence of their 10-year-old girls today or not. "For all of us who share in the great vision of the 2030 Sustainable Development Agenda, our task at hand, is to make the strategic investments required to ensure every 10 year old girl enjoys her rights, is able to stay in school, stay healthy, be protected from child marriage and early pregnancy, and have her full potential is realized; we cannot achieve the goals of the 2030 development agenda otherwise," Mr Campbell said.